Dr. Brown talks with Bishop Joe Mattera, author of the new book Walk in Generational Blessings, and then Dr. Brown gives parents important options for their kids during the gay activist Day of Silence in the schools. Dr. Brown’s Bottom Line: God is the God of Abraham, Isaac, and Jacob. He is not only the God of the living, He is the God of the generations and He has generational purposes and promises. Think generationally and you’ll be thinking like the Lord! Dr. Brown’s Bottom Line: It is imperative that we stand up for what is right for our children, we speak the truth in love to educators and administrators, and that we let nobody silence us! Joseph Mattera has been in full-time ministry since 1980 and is currently the Presiding Bishop of Christ Covenant Coalition and Overseeing Bishop of Resurrection Church in New York, a multiethnic congregation of 40 nationalities that has successfully developed numerous leaders and holistic ministry in the New York region and beyond. He is also serving as the Third Presiding Bishop of the International Communion of Evangelical Churches. He has ministered extensively nationally and internationally, reaching out to many nations of the world including the former Soviet Union, Bulgaria, Turkey, Puerto Rico, the Dominican Republic, Honduras, Holland, the Ukraine, Canada, Mexico, Cuba, Russia, Argentina, Rwanda and Uganda, as well as many of the states in the USA. Joseph has a Doctor of Ministry degree in Biblical Worldview from Bakke Graduate University and is the author of three theological books on the Kingdom of God, entitled Ruling in the Gates (2003), Kingdom Revolution (2009), and Kingdom Awakening (2010). He has appeared on nationally-known Christian networks such as TBN, Daystar Television Network, and Cornerstone Television Network. 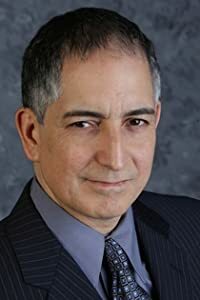 He also has numerous original articles, position papers, seminars, sermons, podcasts and videos presently posted on his website, www.josephmattera.org.